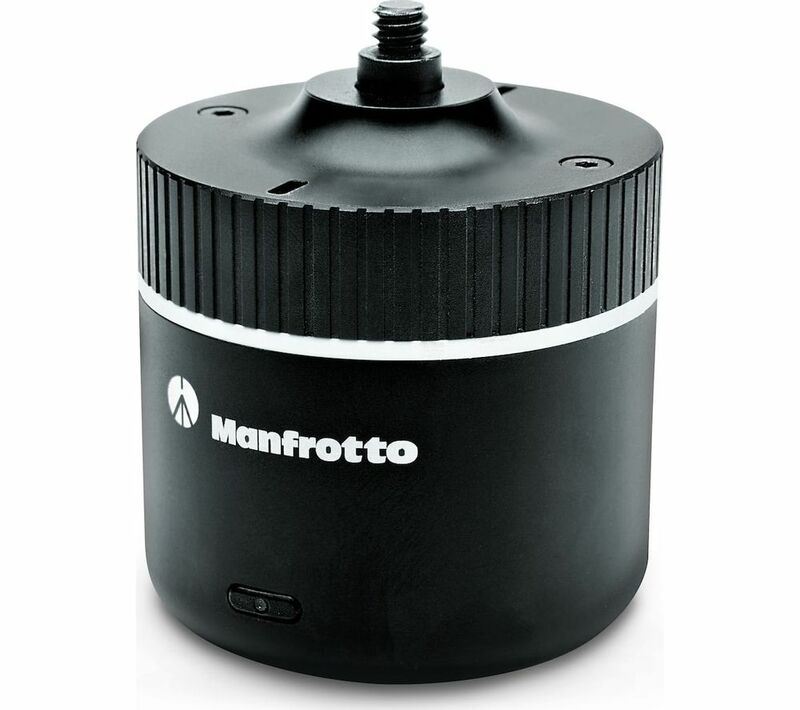 360-degree rotating head Find a new and exciting way to capture footage with the Manfrotto PIXI MHPIXI360 Pano360 Motorised Universal Mount. Whether you're in one room or outside, you can take advantage of the 360-degree rotating head to capture breath-taking footage that's designed to support traditional cameras and smartphones. With Bluetooth, you can control the device from the dedicated app through iOS and use it as a remote control, whether its precision panoramas or time lapse videos, both can be done through the app with simple work-flow that guides you through all shooting options available. Made from high quality metal with small plastic details, the Manfrotto makes it extremely quick and easy to use. With a weight support of up to 2kg, you can use most cameras and smartphones to capture your favourite shots and share them with the world.